Photograph depicts a British locomotive, the "Dunrobin" and a saloon coach on a test run at the BCER track between New Westminster and Steveston. It had just underwent an overhaul. 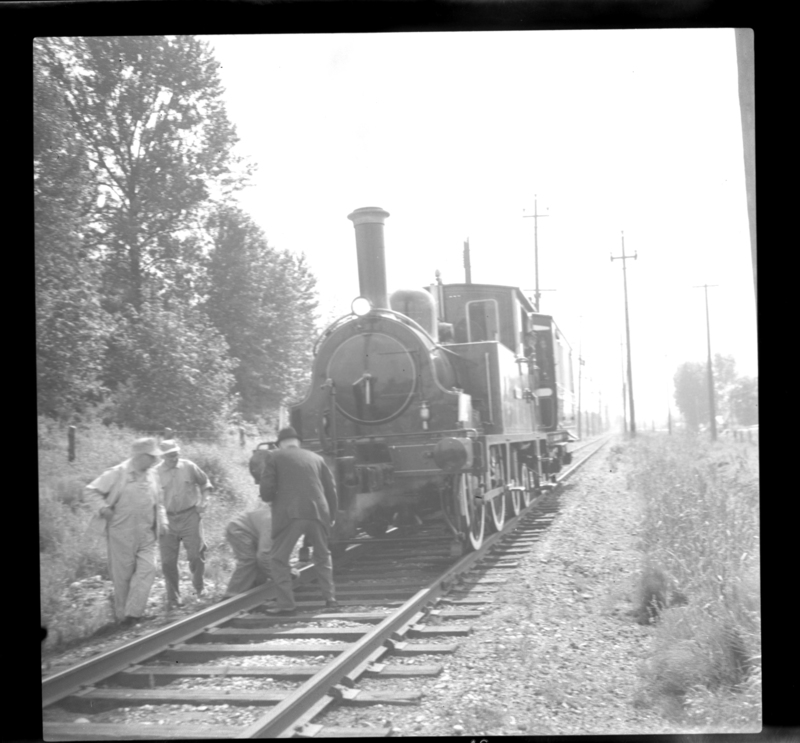 Rear view of the coach is on BCER track between New Westminster and Marpole.